Greece was able to end a run of three consecutive matches without a victory by beating Egypt 1-0 in a friendly match. This was the first victory for Greece since October. Michael Skibbe was quite happy with the manner of the performance, while Nicholas Karelis scored the only goal of the game in the 29th minute. The 2004 European champions had a lot of pressure coming into the game, as they had poor form for the last few months. This would not be a good sign as they have already missed out on World Cup 2018 participation. However, the international break and much provided the perfect opportunity for Greece to return to winning ways, as they claimed a narrow victory over Egypt. 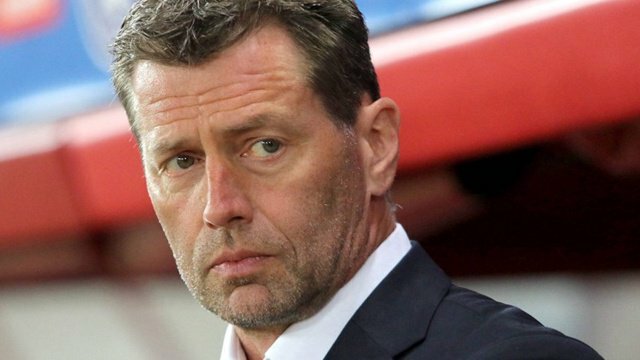 After the game, Skibbe claimed that the team gave a good account of themselves than they had done against Switzerland. He was extremely happy with the way his team took the chances and came up with a brilliant victory. Skibbe also made sure that his players did not get complacent after the victory. He claimed that Egypt was a major opponent and overcoming such a quality team is a huge sign of positivity for Greece. The next match for Greece is not until September when they participate in the UEFA Nations League. “We presented a better performance than we did against Switzerland. Overall, we created better chances and scored a brilliant goal.They’ve made a number of changes since their match against Portugal. They were a dangerous opponent. They are a tough team and have great players, especially Mohamed Salah. Egypt has a chance to show its strength after two months in the World Cup. We made a lot of substitutions, just like what the Egyptian team did because the players are preparing for upcoming important games and we don’t want to exhaust them,” said Skibbe.